OptiCal Sciences is pleased to offer for hire an extensive range of quality contamination control instrumentation at competitive prices. OptiCal Sciences can advise you on the selection of instruments to suit your application and can offer free technical support in the installation and operation of the instrument(s). 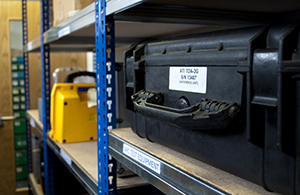 Prior to dispatch, our ISO9001:2015 Quality Procedure ensures your hire instrument will operate satisfactorily with a fully charged battery and is complete with all accessories, manuals, and where applicable, calibration certificate. Carriage time is not included in your hire period. We are pleased to offer discounts for long term hire as well as significantly reduced hire prices for customers who have sent us instruments within a service contract.